Tuesday SOL What about the Art Center? I am loving the art center in my new classroom. It is an ideal space, with a beautiful big window right nearby, giving such great light to all that we do here. Plus, it is equipped with a sink, cabinets, and counter, allowing me to set up and clean up with ease. 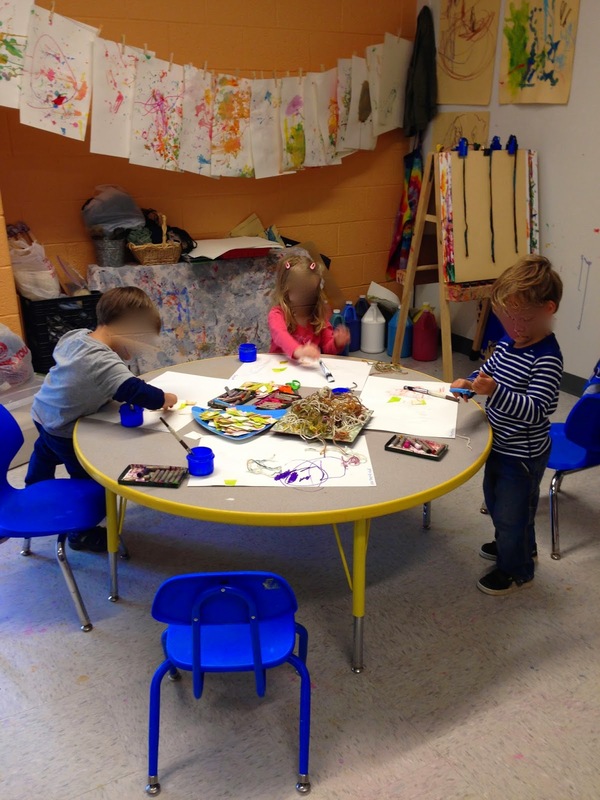 This area includes a table for small group work, a clay station, and two easels. There is a place to hang art that is drying. There is a small shelving unit, filled with art materials that the children have learned how to use through various "guided discoveries" this school year - glue, paint, scissors, collage materials, oil pastels, yarn, recyclables and other "junk." 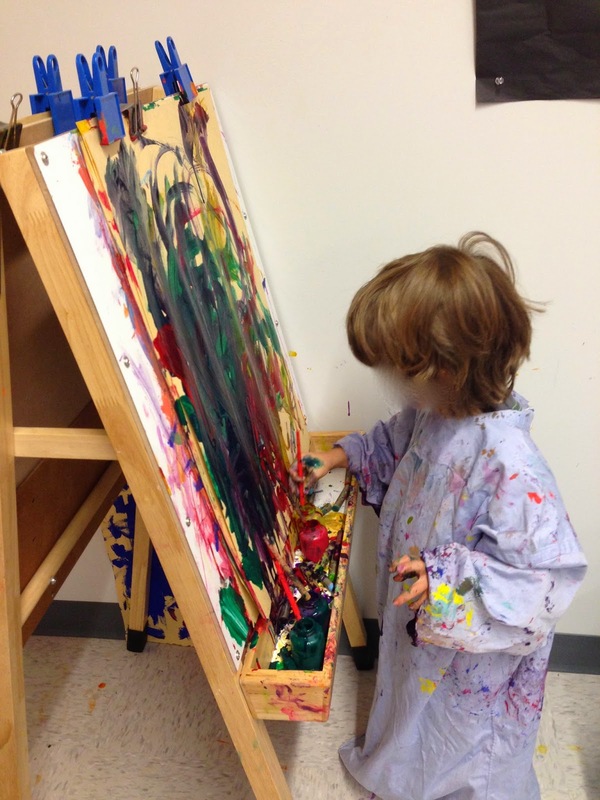 I am slowly but surely making it into a space where children have total flexibility with their creative explorations. We make sure there is paint set up at the easels at the start of each day. 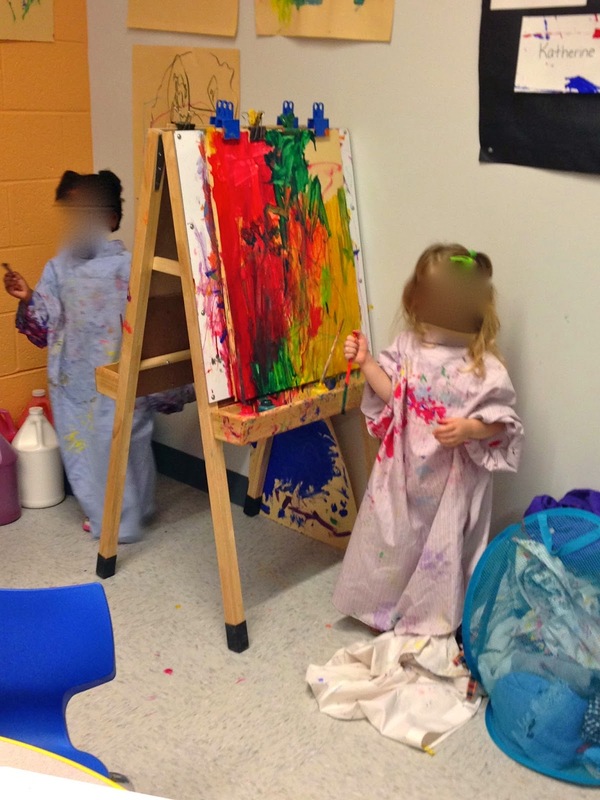 I love the way children wander over to the easels, sometimes grabbing a smock from the bin, sometimes not, and they just begin painting. The easels are in almost continuous use from the moment the classroom door opens each morning. The clay table has ample room for three artists but I've noticed that it is often home to just one artist at a time. How nice this is for the artist! 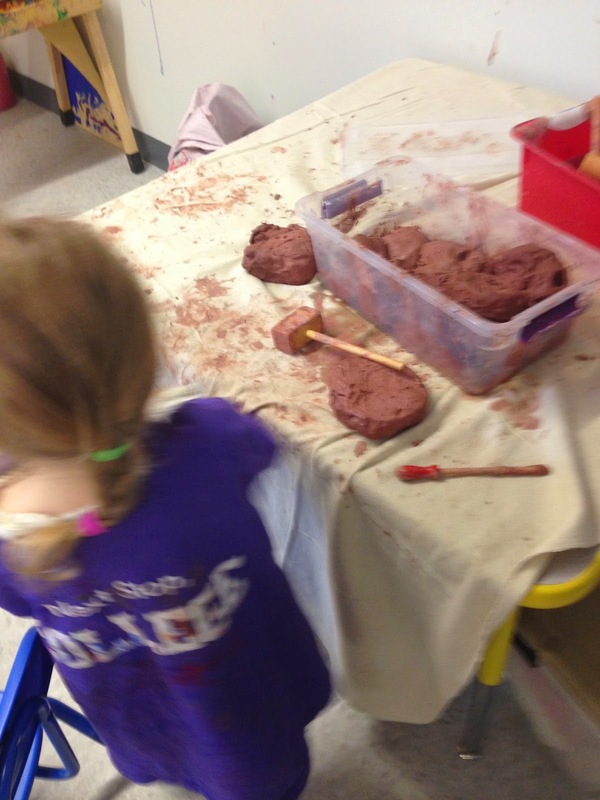 Here, the children enjoy pounding and cutting the clay, making designs with clay tools, and rolling and patting it back into balls…I think it is a very nice corner for solitary exploration. The children are also intrigued by how to take care of the clay, enjoying the responsibility of adding water to it, keeping it moist and pliable. 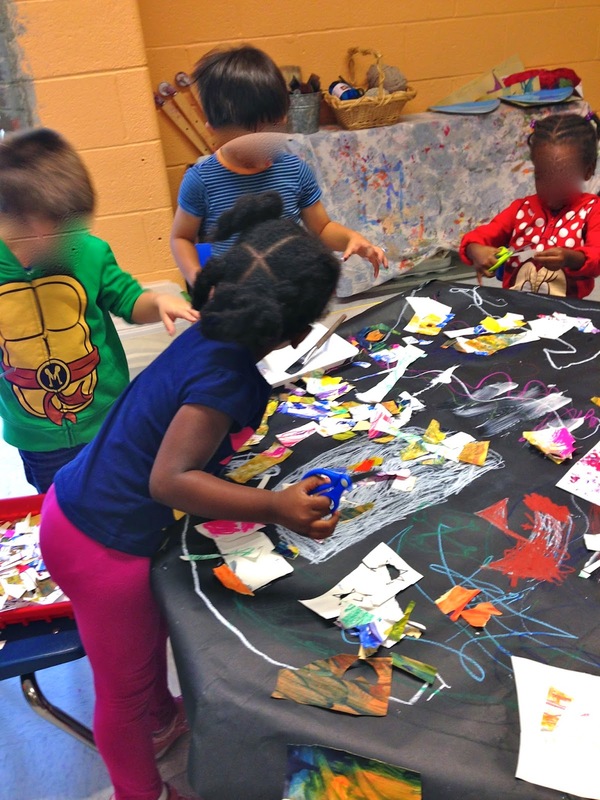 At the small group table, we set up a variety of process art activities, with materials for the children to create and explore with abandon. 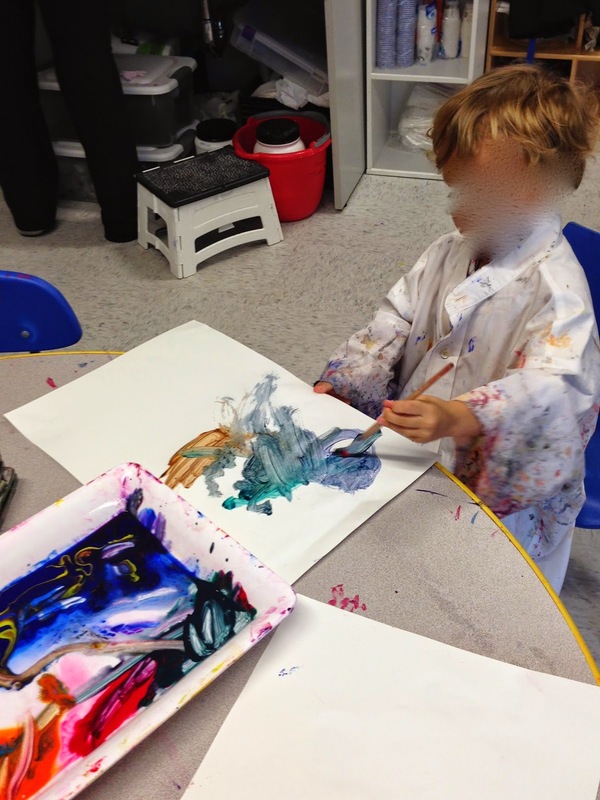 There aren't specific rules for this work - children consider what they want to do with the materials at hand and begin creating as they desire. It is magical and free-flowing work. Typically, we'll do the same exploration all week long. The children love this area of the room and it is in constant motion. paint? clay? glue? cutting? three-dimensional? mixed media? Simona, lost in concentration, with the perspective of a scientist on the brink of a new discovery, holding a length of yarn in each hand, dipping the center into paint, pulling the strand taut, seeing her paper instantaneously covered in speckles; she greets this discovery with sheer delight and dares to repeat the process over and over, seeing nothing but beauty in the speckles that also cover her face, arms, and table. Naima and Evan, together at the clay, mashing the clay with hammers, over and over, and then realizing that, rather than using the tools in the manner intended, it would be much more fun to puncture the clay with tools, creating a 3D sculpture of these; this pursuit unfolds and they laugh out loud at their funny creativity, begging each other to see what the other has done - "Look at this!" Paxton, discovering the table set up for four potential artists but empty of children; he works quietly on one piece, using 'junk' (various wheels, balls, small cars, other) to stamp and press paint onto the paper…still no one else has arrived at the table, so he moves on to create a second painting, and then a third, and then makes his way to the fourth and final, delighted by his find, delighted by this exploration, delighted to have the place to himself. This is the concentration that I love seeing in preschoolers, a direct challenge to textbook notions of preschoolers having fickle, "less than ten minute" attention spans. It is essential that our classrooms provide them with time, possibility, and choice. Yes, the art center is becoming a place that echoes my goals for my early childhood classroom. 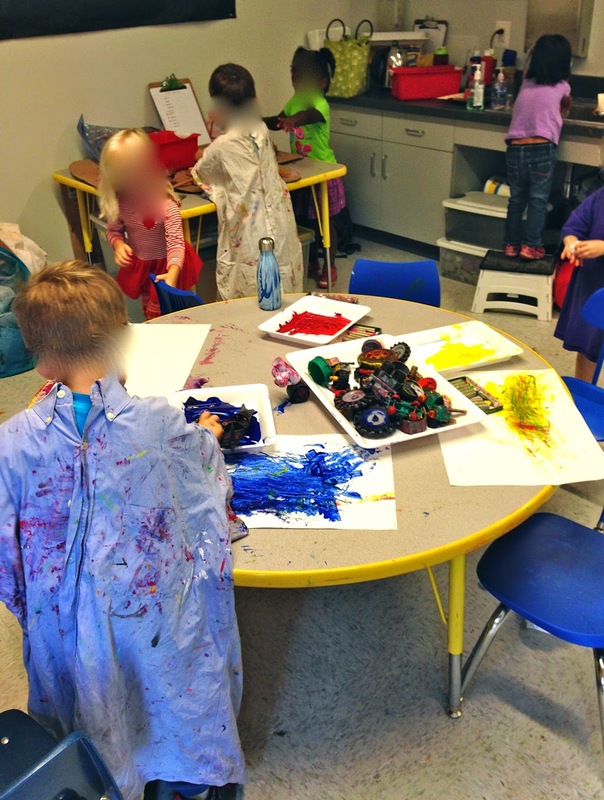 And, the best thing - the sink is right there for them to clean off those messy, creative hands when they decide they want to do something else! The block building begins quietly, with Mateo and Julian suggesting a wall around the edge of the table, "for the animals." 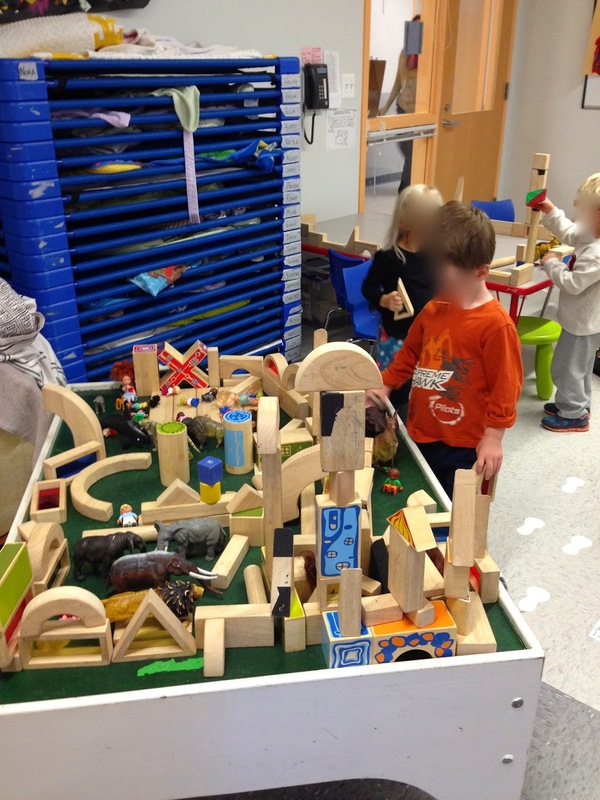 Lately, block-building means animal homes, as well. The children are loving all the small, realistic toy animals we have. Often they build by themselves, but today I have chosen to build alongside, to see what I can learn about these sweet children and what I can provoke. listening to what interests them, and storing these for future read-alouds and other lesson ideas, what excites them? fostering their mathematical thinking - they do it instinctively, but I coach the terminology, such as above? behind? near? alongside? between? under? through? next to? and, similarly, there is lots of counting (how many blocks do we need to complete the wall?). "The blocks go here, all the long way," suggests Mateo. Me - "Another word for the edge of the table, is perimeter - we are building around the perimeter." Malcolm, Simona, and Kaelyn join us. Katherine and Ella aren't far behind, and many small hands are at work. It seems as if no sooner than someone builds something, another knocks it down, usually with the expressed delight of the builder. When mistakes are made, the children work together to recreate the original design - or tweak it to be something all new. "A wall will not fall down." "I am making a house for the zebras." "We need a house for the dinosaurs. And the sharks." Block building is fast, impulsive, ever-changing. Things exist for only a moment or two, intentions change, blocks morph from one idea to the next. Making a wall around the table leads to finding groups of animals…several are searching for all the sea animals, others want the tigers, still others want a zebra area. Julian, Nicky, and Micah create Magna Tile airplanes and "hand-gliders" at a neighboring table, and they jump over to see if these can fly around the blocks. A big door is made in the wall, "opening for airplanes." The next thing we know, many blocks have been hit by airplanes, tumbling to the floor. "These are the forests," says Julian, standing many tall cylindrical blocks together. Almost immediately one falls over, toppling the others like dominoes, and this becomes the new goal - to build and see them fall over. "The forests are breaking! ", he squeals with delight, needing to fix them again. Wesley pops in, followed by Naima, James, and Dmitry. 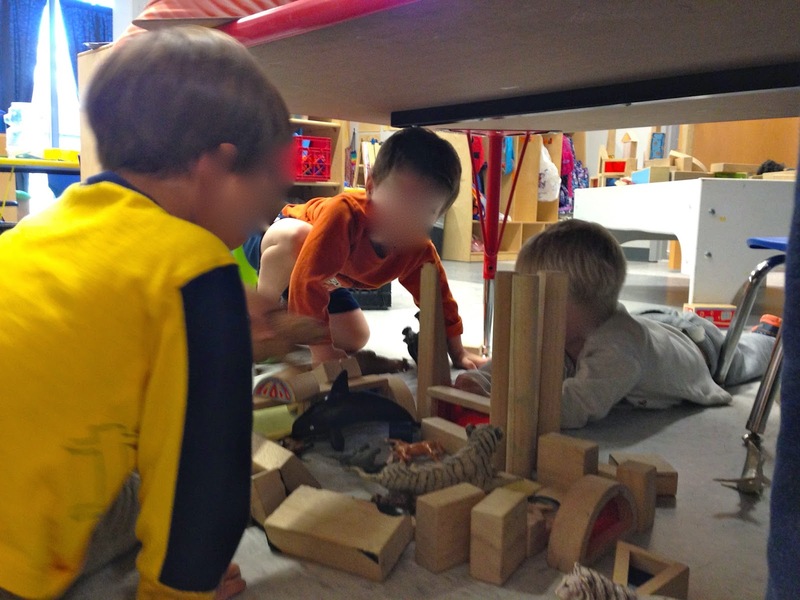 They set about building underneath the table (where many blocks had tumbled). This opens up new possibilities - purposefully getting things stuck in table legs and then trying to get them out. One thing leads to another. "We need to make an animal hospital for hurt animals," suggests Wesley. which blocks fit inside the arches? which tall ones stand, making the best trees? how to make a floor? what happens when you drive one block through the others? how to make a continuous wall? how to make it longer? how to make a seat or a bed? will these balance on top? why is this stuck here? I love the block corner. Please stop these challenging behaviors! all wanting to use the same piece of equipment. We call it "the motorcycle,"
you hop on and rock, rock, rock. we practice all sorts of ways to take turns. I wish there were more than one of these darn motorcycles! I am spending so much time in this vicinity, helping children negotiate the sharing. "Ms. Ingram! I let my friends have a turn!" 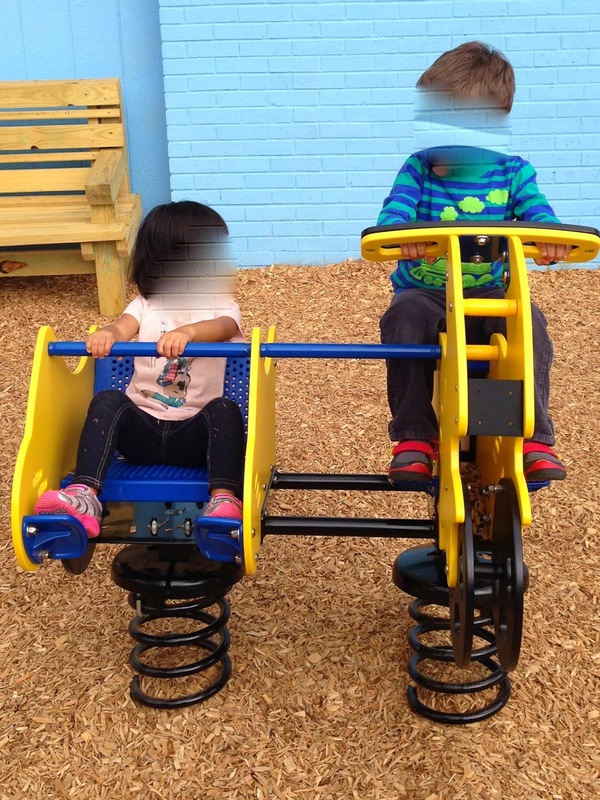 "It's time to let your classmates have a turn,"
as I simultaneously extended a hand to help her off the bike. "I know it would be fun to stay here all day long!" "Thank you for sharing with your classmates." "I know you want all your classmates to have a chance to play on the motorcycle." "I wish there were more motorcycles out here - imagine if there were! How fun would that be!?" "I am so proud of you - what a great sharer you are!" 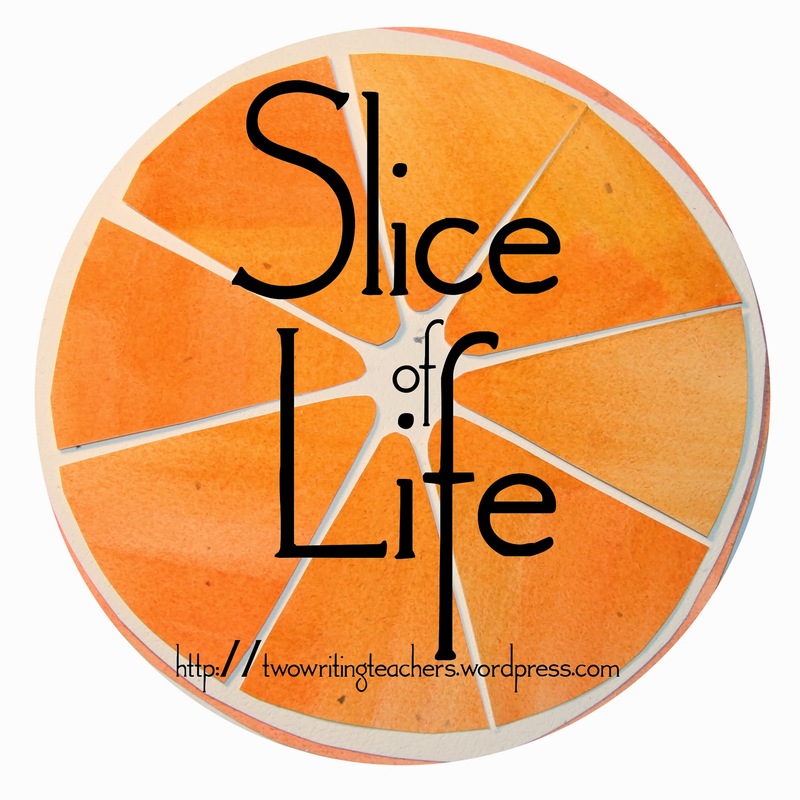 Because these behaviors are so commonplace, daily, and, even, developmentally normal, here's where teacher's voice and overall classroom tone comes into play. What do I want my children to sense, as they enter my room? As they play alongside me? How will I respond to these challenging behaviors so that my classroom remains an overall joyful place? rather than simply 'bossing' them into stopping the challenging behavior. One of the things that makes the start of a school year so challenging for me is all the new staff. Each year, we have many new adults because of a new cohort of Teaching Residents, additional new faces at our before and after care programs, and, often, new folks leading the various specials. "Stop putting that in your mouth." "Give that to your classmate right now." the most important teaching is really my response to these challenging behaviors. what I do and say means so much to them. What do I want them to know and understand? What is the behavior that I want to stop? What would I rather see? Can I name this replacement behavior? We are all the happier for it! 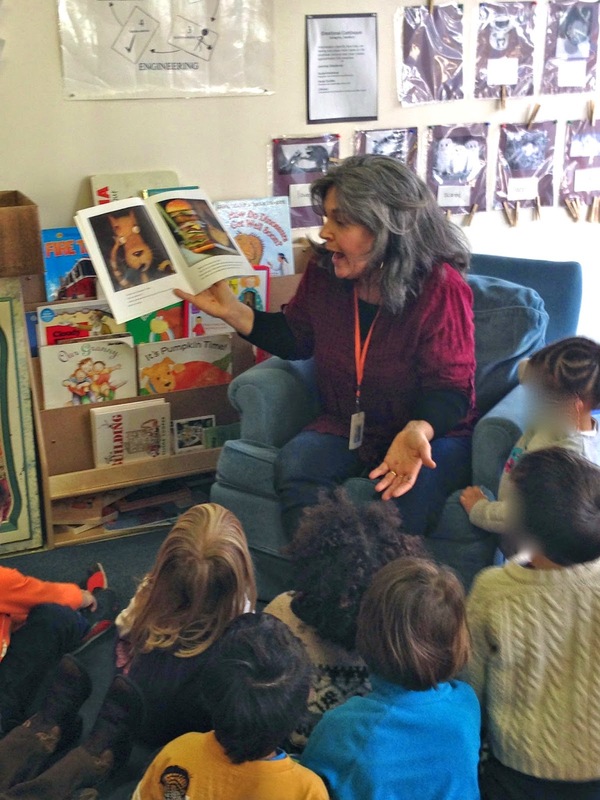 to the challenge of those early read-alouds. to so many children at once. hold the book so all can see? to prepare them for the book ahead? hold your body for authority and assuredness? check on everyone with a scan of the eye? in the midst of reading? How to permit certain behaviors and squash others? How to distinguish between these? ignore certain things or make them teachable moments? How to solicit good listening? speak differently as narrator or character? without losing overall pace or children's attention? so automatic, tried and true. It looks so easy, but there is so much involved. in the midst of a simple picture book.